An innovative process has been developed by researchers at the HZB Institute to produce highly sensitive semiconductors from solar fuels. They could be used in the solar water splitting process, using an organic, transparent protective layer. The ultrathin, highly stable and conductive protective layer is composed of carbon chains and covered with catalyzing metal oxide nanoparticles, which speed up the water splitting process upon light irradiation. For the first time, the HZB team produced a hybrid structure capable of converting 12% of incoming solar energy into hydrogen. The study findings have been reported in the Advanced Energy Materials journal. The “artificial leaf" follows the principle of a solar cell, but has additional functional layers, which act as electrodes and have been coated with catalysts. After submerging and illuminating the complex system of materials in water, it causes the water molecules to decompose and generate hydrogen, where solar energy is stored in the chemical form. The existing technology still faces a number of problems. Allowing sufficient light to pass through the solar cell to generate the required voltage for the water splitting process despite the additional layers of the material is one problem. Also, the semiconductor materials used for the fabrication of solar cells are not able to survive the typical acidic conditions for a prolonged period. Therefore, it is necessary to have a stable, transparent, and conductive protective layer for the artificial leaf to function effectively. The researchers used silicon samples, an n-doped semiconductor material behaving like a simple solar cell to generate a voltage upon irradiated by light. The samples were prepared by materials scientist Anahita Azarpira, a doctoral student in Dr. Thomas Schedel-Niedrig’s group. The sample preparation involved the formation of carbon-hydrogen chains on the silicon surface. As a next step, I deposited nanoparticles of ruthenium dioxide, a catalyst. This yielded a conductive yet stable polymeric layer with a thickness of 3-4 nm. The electrochemical prototype cell involves highly complex reactions, which can only be explained by Dr. Michael Lublow at HZB. The researchers used the ruthenium dioxide particles twice for the first time as part of the process. The nanoparticles were principally used to create an effective organic protective layer, greatly simplifying the formation of protective layers, which is otherwise typically a complex process. This enables the catalyst to speed up the water splitting process to generate hydrogen and oxygen. The use of this stable protective layer to protect the silicon electrode helps achieve solar-to-hydrogen conversion efficiency of roughly 12% without deterioration of the cell. Also, the yield remained unchanged during the measurement period of 24h. It is remarkable that an entirely different material has been favored as an organic protective layer: graphene. 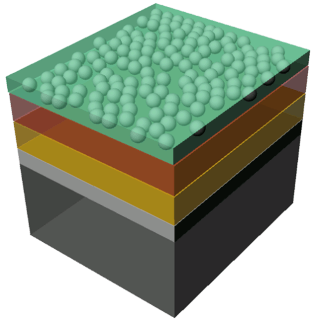 This two-dimensional material has been the subject of much discussion, yet up to now could only be employed for electrochemical processes with limited success, while the protective layer developed by us works quite well. "Because the novel material could lend itself for the deposition process as well as for other applications, we are trying to acquire international protected property rights”, says Thomas Schedel-Niedrig, head of the group. Solar to hydrogen directlsolar to hydrogen directly would change the world big time .